I believe parents are responsible for providing opportunities for their children to help them develop their God-given talents and skills. As they grow, their journey to self-discovery will be enhanced by these life-changing experiences that we have allowed them to explore. Every school-aged kid looks forward to summer vacation. When I was a student, summer always meant having unlimited TV time, extended curfews, bumming around the house, going on an excursion with family and friends, or trying to learn a skill or two from my mother. These days, kids are just so lucky to have hundreds of options laid out for them. Given that the parents can afford to enroll them in each program they're interested in, all they need to do is choose, attend, and have a productive and fun-filled summer. Still, there are many home and neighborhood activities that moms, even dads, can prepare for their children, with just a little bit of creativity and at almost zero cost. 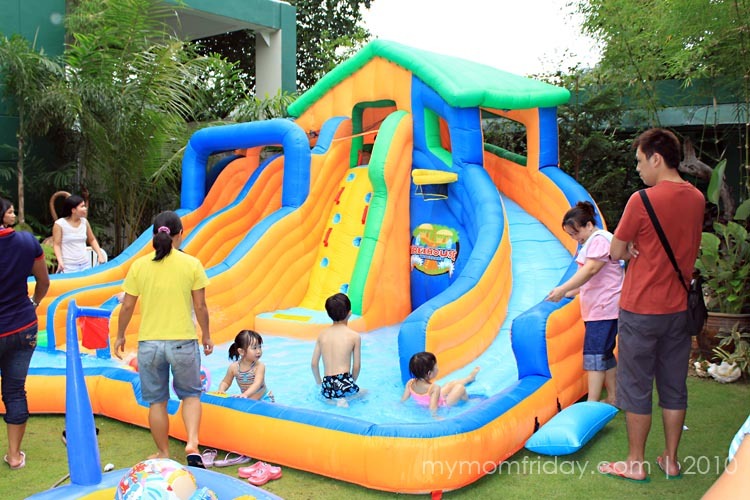 For this particular post, I have asked some of my mommy friends to share their ideas and plans for their kids this summer. Just like me, I'm sure other parents and children would love to try and explore any of these exciting and educational activities this season. Here are their emailed responses which I have gathered. 1. How many kids do you have? How old is/are your kid/s? 2. How do you usually spend your summer days as a family? ELLEN: Out of town. If allowed, we go abroad. JET: We usually spend our summer vacation at home. Then we spend a week or two in Batangas, which is my hometown, and we usually go swimming. PIA: At home with very simple activities done singly and together. Cleaning and tidying up the home. Summer courses - singly and together where possible. Picnic outdoors. Outings in Tagaytay. A new destination, if possible. JOHANNA: Usually we are here April-May for the activities. If time and budget permits, we spend a month in the U.S., where my atsi (older sister) is. But most of the time, we have short trips, then back to summer activities and beaches for some weekends. 3. Do you prepare activities for your kids at home? If yes, please share or suggest some of your favorite home activities. ELLEN: Swimming only using the inflatable pool. Then, I give them art activities because they both love to draw and color. We usually use water color, poster paint, crayons and color pencils. They also love playdough. ANN: Not anymore. 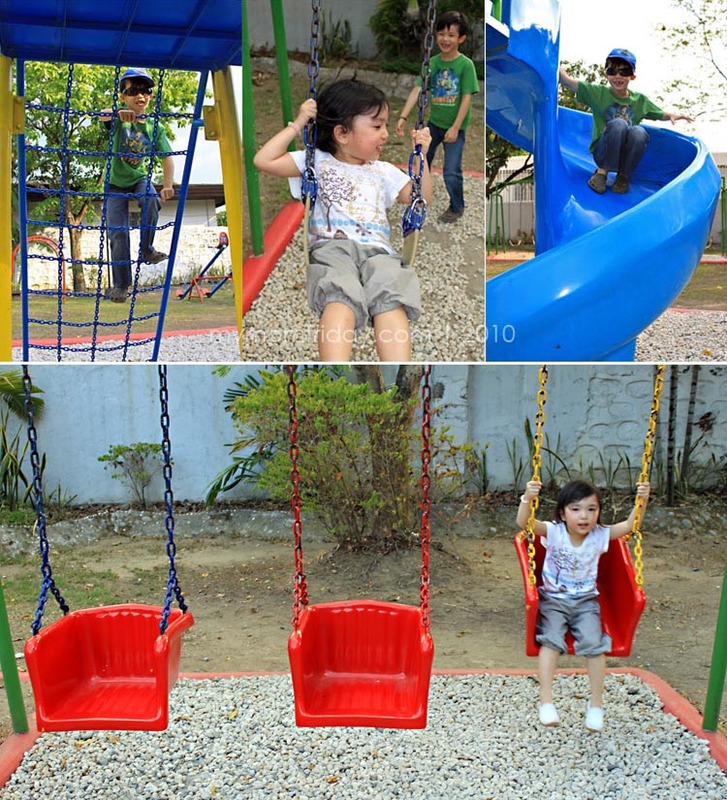 They have their activities outside so they get to do anything they want at home. Art time session. I have a big notebook where he puts all his art collection using water colors, paint, glitters, glue, cutout picture, markers etc. Learning time and reading time. When KD is in the mood for reading, I take that chance to read as many books as possible. Cuddling session. Just before he takes his nap or before going to bed, no TV involved. We lay down and talk for 10 minutes. I ask him what he did the whole day, what he ate, etc... and make lambing (bonding touch and cuddle). And of course, the never ending playtime. Arts and crafts, scrapbooking, etc. JOHANNA: I prepared them their own calendar with their schedules/activities including when to practice their piano/violin. 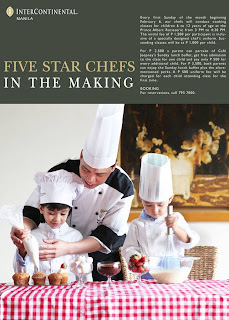 I encourage both kids to help me while i cook/bake, it's a good opportunity to teach them. 4. Do you enroll or would like to have your kid/s in a summer program or class? If yes, please list the programs that interests you and your kid/s, or the class you have enrolled them in. JET: I would love to enroll them in a piano class. G's current want-to-try activities are basketball and fencing. Special ballet workshop conducted by the Australian Conservatory of Ballet. We may have other things in May onward. Recently, I enrolled Z in E.nopi to teach him higher maths as he goes on. So my purpose for enrolling him is to make his basic maths very good while young. He's also fond of drawing. But he has no time for art classes anymore, just practice at home, maybe in June. 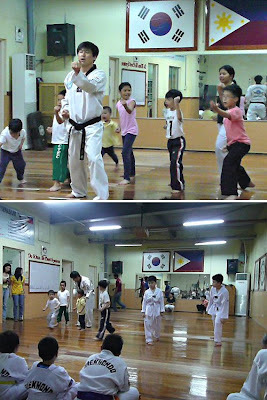 Z is also with the Xavier varsity football, and both (kids) do taekwondo with Dokkeabi. And there's always sports. My daughter swims with the Quezon City Sports Club team, not competitively yet because of time constraints. 5. If you plan to enroll your kid/s in a program, what are your main considerations? What do you hope to achieve from your chosen program/class? ELLEN: That they will be able to enjoy and learn something from it. On hindsight, mommy Ellen added, "Actually, they both have new summer activities for this year. Previous years, I realized they are just into arts and crafts. And for K, who was then 3 years old, it's classroom type of activity. Gusto ko naman (what I want) this year eh pumayat silang dalawa (is for both of them to lose weight), hehe...and i think it's more healthy for both of them having sports. And because of this survey of yours, 'tsaka ko lang na compute yung mga nagastos namin (it's just now that I was able to compute our expenses)…ang laki pala (it's quite high)…di kasi halata kapag pa iba-iba ng bayad (you don't really notice it when you pay separately)." JET: The teacher and the fee. If I will be enrolling them in a piano class, I hope that at the end of the program, they would be able to play at least one song/piece. ANN: The program, safety, time and schedule, price. For the children to have fun and learn the basics. What my children are really interested in. Who is conducting the program, their reputation, value for money. Where their experience can make them grow and develop positive values. Instilling in them the value of old-fashioned hard work and patience. Continued ability to stay away from gadgets and electronic devices that make them passive and do not enrich them. Building their self-confidence as they learn new things, achieve things, create things from their hands and imagination, perform for audiences, exhibit their work publicly, etc. Dedicated teachers for one. Interest of child. We only introduce to them, but somehow along the way, we will sense if it is for him/her, or not. If not, then do not force them because nothing will happen. But whatever it is, if they can do it, let them continue, not just during summer. My personal view, my kids are natural artists, so as much as possible I would like to let them do things that I know they will be good at in the future, especially in art and music. Sports is also important because it teaches them endurance, and it develops their character, social skills etc., discipline also. And from my own experience, my parents let me do sports growing up. I realized we shouldn't wait until the kids have grown up, because by that time, they might be lazy to move, so better to start them young. Thank you mommies for sharing your plans and all the wonderful ideas for this special post! I regularly buy assorted activity books which I use for their "quiet time" so the kids can practice their writing, coloring, painting, cutting, and do some math and science exercises similar to their school worksheets. Educational and interactive video games are also permitted on a limited time during the day. 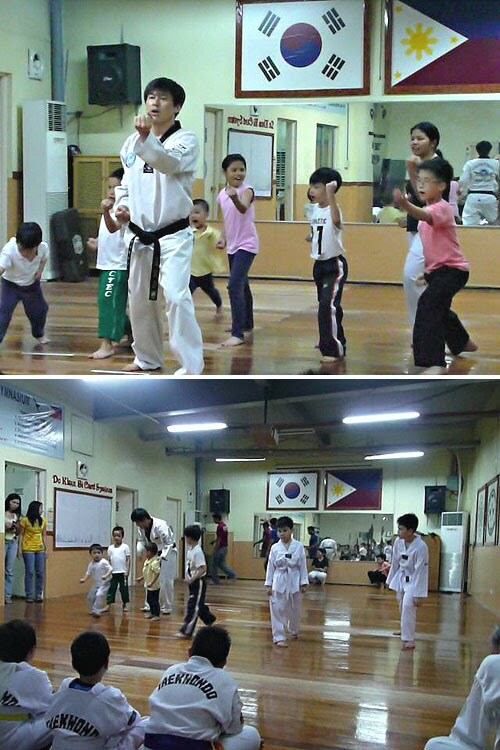 Xavier School - Basketball, Swimming, Taekwondo, Fencing, Soccer(Football), Badminton, etc. Gymboree Play and Music - For 0 - 5 y.o. Kindermusik, Philippines - For 0 - 7 y.o. World of Music - Drums, guitar, etc. Find a participating store near you. Find an E.nopi center near you. Hope this treasure trove of ideas and directory will be helpful to anyone looking for more productive ways to engage the kids during this summer break. Just remember to keep it simple, age-appropriate, interesting, and always have FUN! Do share your ideas and recommended classes here, the more the merrier! I will try to update this post until end of April with additional info or any changes from the list above.